Make sure your camera system is watertight before you even get the housing wet! 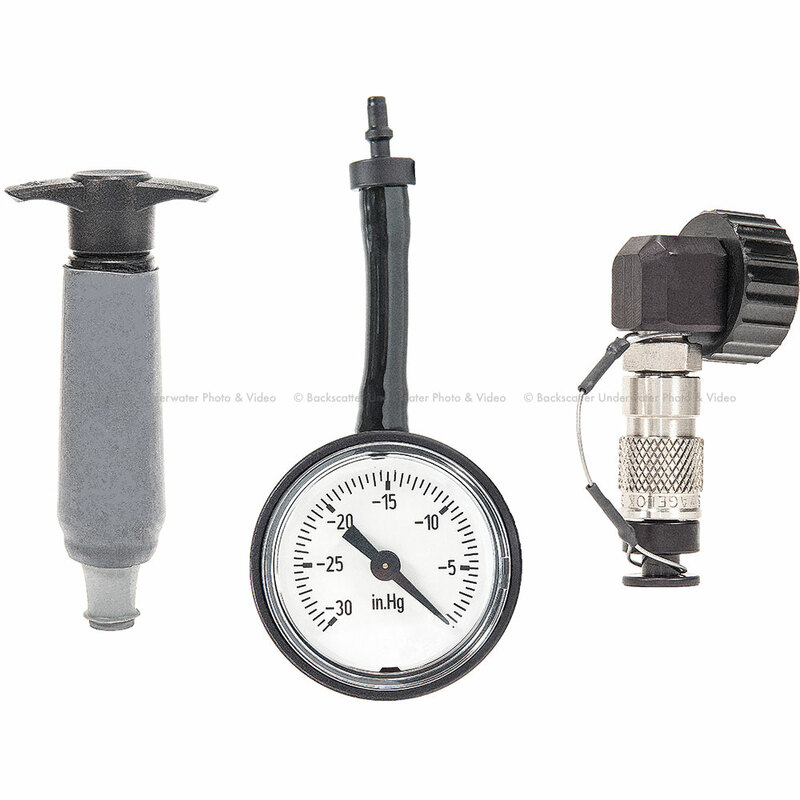 The housing features an internal flash up/flash down capability, a quick access ISO lever actuated by your thumb, access holes of different size are incorporated in the design and are ready to accept various accessories such as Aquatica's own remote trigger, external monitors, newly introduced Surveyor vacuum monitoring system, or other third party accessories. 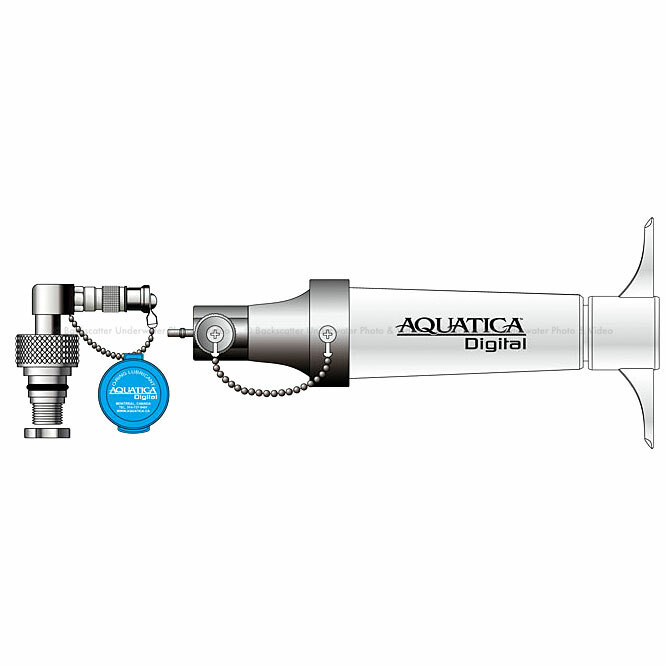 Aquatica has the most comprehensive selection of easily interchangeable strobe connectors in the industry. The 20076-NK comes equipped with two classic 5 pins Nikonos connectors, the 20076-KT is supplied with the rugged 5 pins Ikelite connector. Both version being ready to accept currently available TTL converter. Taking advantage of the fiber optic S-TTL is also possible with the 20076-OPT with includes the connectivity for either the Sea & Sea or Inon type strobes. Lastly the 20076-HYB offers both a classic 5 pins Nikonos and one optical connector giving the housing the ultimate choice in strobes selection. As is the case with Aquatica's current DSLR line up, Aquatica's bulkheads have been field replaceable, for last few years, without the need for specialized tools. The Aquatica AD810 will, like all of Aquatica's housings, will benefits from the finest material available in the metallurgic industry. Its protective shell carefully crafted from a selected alloy of aircraft grade aluminum and its multiple controls machined from the finest grade of stainless steel. Every Aquatica housing that is manufactured is machined on the latest 5 axis computer assisted machines. The shell then undergoes a series of protective process to bring it up to the stringent North American Military Specifications. Furthermore, corrosion inhibiting, zinc anodes are supplied as standard equipment. 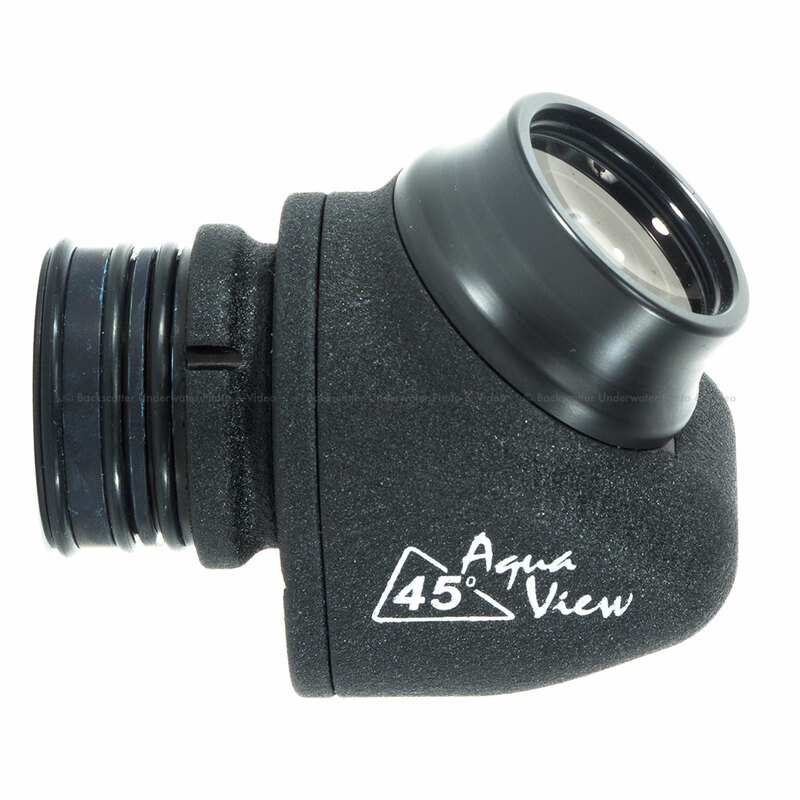 This extra level of protection does make a huge difference as can be seen on some Aquatica housings with over 3,000 dives on them, which still look as fresh as the day they came out of the box. This housing is designed with the hard working professional in mind and for the people who value and truly understands reliability in the field. The AD810 housing camera tray smoothly and precisely positions the camera in the housing and easily disengage by a simple push on a tab. It is a simple matter to remove the camera from the back while keeping a lens and zoom gear attached. Given the unprecedented impact that the Aquatica AD800 had on the underwater video, it was deemed absolutely important that this new AD810 housing be optimized for this task. Easy reach and smooth operation of the controls where the key words in the engineering department. Their serious side and commitment in making the controls the best that technology permitted is apparent on this housing. The AF-L/AE-L & AF-ON button are accessed with a combined lever and rotating collar that prevents ambient pressure from pushing it back towards the housing. The menus buttons are angled to provide better access to your left hand thumb. The AD810 uses the 4xxxx generation lens gears system with a smaller housing pinion gear and a larger lens gear, the results is a smoother action while zooming in a video sequence. The AD810 housing's lightness should not be misinterpreted as a weakness. This housing still has the same standard 90m/300ft depth rating and can still be upgraded to 130m/425ft depth rating. Its knurled knobs and oversized controls mean easy operation no matter what the situation is. Anyone familiar with the Canadian climate knows that being built here also means that all Aquatica's housings are born and bred in one of the world most rugged diving environment. Bottom line, if it works around here, it will work everywhere else! The AD810 retain Aquatica's popular molded grips; these have been the reference in comfort for the last 25 years. They are lightweight, sturdy, and are made of one piece, therefore, they cannot come unglued, fall apart or corrode. 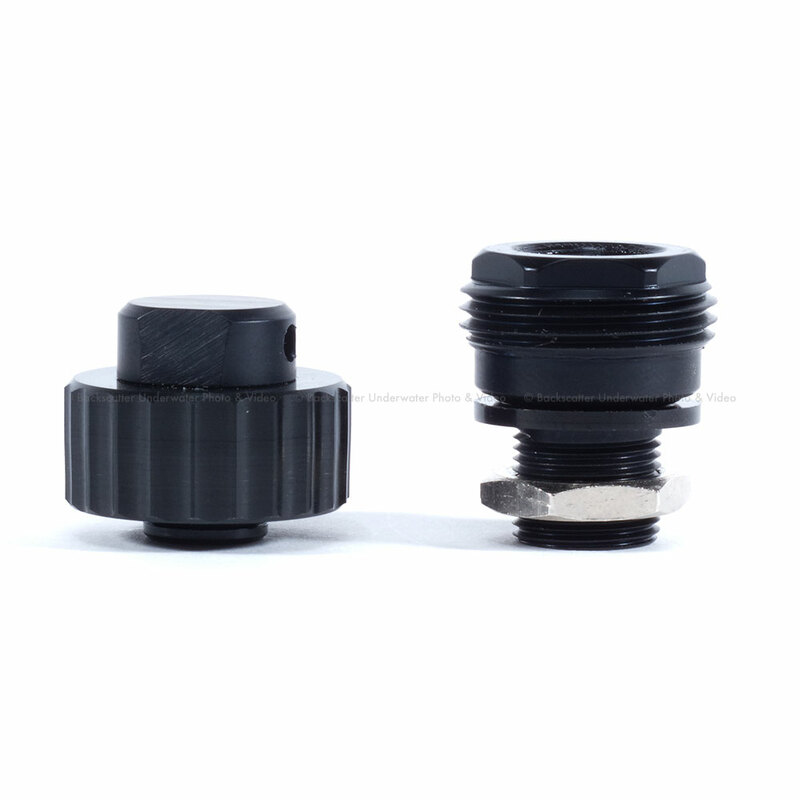 Both grips have mounting holes ready to accept popular mounting bracket of Aquatica's TLC system and for the most current strobes and lighting arms out on the market. An extra mounting point for a focus/video light or other accessories is on top and another three additional mounting points are provided under the housing for various brackets, support or tripods. Aquatica's line of DSLR housings is supported by one of the most established and comprehensive port and accessories system of the industry. For over 20 years, this port system has been the stable platform on which thousands of photographer have relied for expressing their vision. 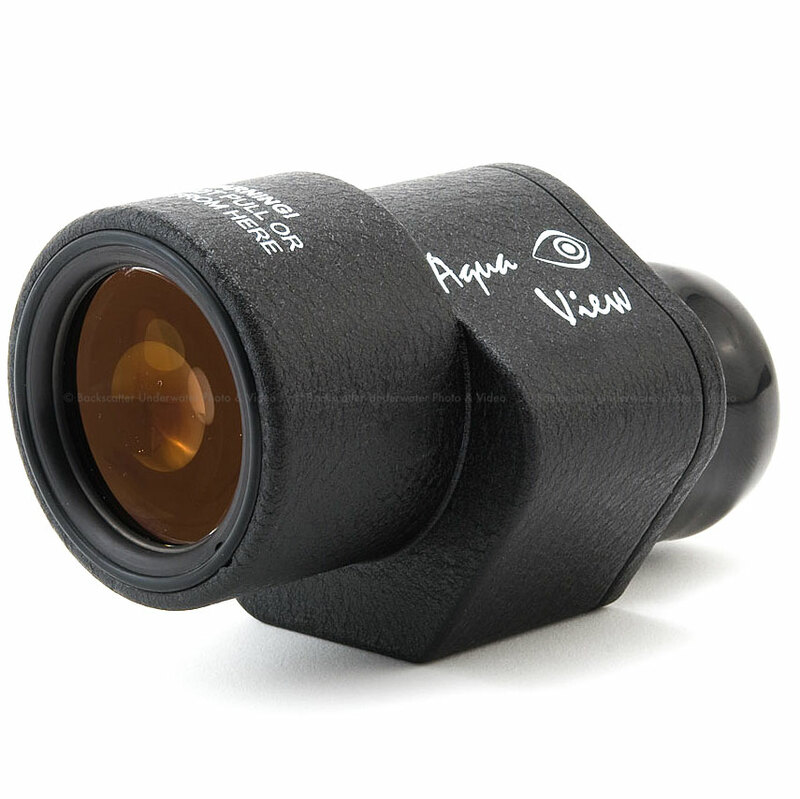 Acclaimed for their optical quality and cohesive system, Aquatica's ports was and remains one of the most reliable and used designs in the field of underwater photography. This philosophy that made Aquatica housing so popular over the years certainly has not been lost on this newer version! Every effort was made to give you an underwater imaging system that will answer to your needs. The AD810 is rugged and reliable housing, one that will adapt to your needs and will last for the longest time with a minimum of care.